– Monday: Avon Holiday Show, grades K-2, 7 p.m., Avon School. – Monday: Woodland basketball vs. Berlin. At Woodland School. Boys game: 4:15 p.m. Girls game: 5:30 p.m.
– Tuesday: Borough council meeting. 6 p.m. Borough Hall. – Tuesday: Shade Tree Commission meeting. 6:30 p.m. Borough Hall. – Tuesday: Camden County Freeholder caucus meeting. 6 p.m. Camden County Courthouse. 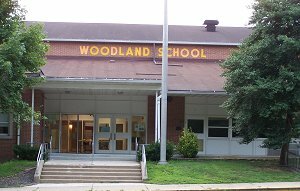 – Tuesday: Woodland Holiday Show, 7 p.m., Woodland School. – Wednesday: Woodland basketball vs. Berlin. Away games. Boys game: 4:15 p.m. Girls game: 5:30 p.m.
– Thursday: Camden County freeholder meeting. 7 p.m. Sterling High School. – Thursday: Barrington Coffee House open-mic night. Sign-ups start at 6:30, music starts at 7:30 p.m.
– Thursday: White Horse Pike Chamber of Commerce Networking event. 5:30 to 7:30pm. The Warwick Tavern, 400 S. Warwick Road, Somerdale. $16 Members, $20 General Business. – Saturday: “The Wizard of Oz” performance by Haddonfield Plays & Players, 8 p.m. 957 E. Atlantic Ave., Haddonfield. Phone: (856)429-8139. $20. – Saturday: Brunch with Santa at Camden Children’s Garden. Food from Tortilla Press. $20 and up. – Saturday: “The Nutcracker” performance at Scottish Rite Theatre in Collingswood. 1 and 5 p.m. (856)464-0128. $22 and up. – Saturday: Christmas with The Thirteen (professional choral ensemble). Grace Church of Haddonfield. 7 p.m. (856) 685-9226. $25 for adults; free for children 12 and under. Do you have something you’d like to add to this calendar? If so, please email BarringtonBulletin@gmail.com. Now accepting events after Dec. 15. 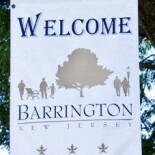 This entry was posted on December 15, 2013 by Barrington Bulletin in Borough Hall, Business / Money, Events, Region, Schools and tagged need to know.